Twitter said Russia-backed news organisation RT spent €230,000 on the ads in 2016. TWITTER YESTERDAY REVEALED that nearly 2,000 ads were placed on the messaging service in 2016 by a Russian media group suspected of trying to interfere with the US presidential election. A Twitter statement said the social media company shared data with congressional investigators about ads from RT, a television group with links to the Moscow government. Twitter said RT spent $274,000 (€230,000) in 2016 on Twitter ads that may have been used to try to influence the US election. The news comes after Facebook acknowledged foreign entities linked to Russia paid to promote political messages on the leading social network, potentially violating US election laws. A blog post by Twitter said its vice president for public policy, Colin Crowell, met with staff from two congressional panels investigating Russian interference in the election process. “This is an ongoing process and we will continue to collaborate with investigators,” the statement said. Twitter said it examined efforts by foreign agents to interfere with the election after Facebook indicated it found 450 accounts that appeared to have been used for this purpose. “Of the roughly 450 accounts that Facebook recently shared as a part of their review, we concluded that 22 had corresponding accounts on Twitter,” the statement said. The statement added that RT, which was named in January in a US intelligence report on election interference, spent at least $274,100 (€230,000) in 2016 for 1,823 tweet ads or “promotions” that “definitely or potentially targeted the US market”. “These campaigns were directed at followers of mainstream media and primarily promoted RT tweets regarding news stories,” the statement added. “We are concerned about violations of our terms of service and US law with respect to interference in the exercise of voting rights,” the statement said. Twitter said that during the election campaign, it removed tweets “that were attempting to suppress or otherwise interfere with the exercise of voting rights, including the right to have a vote counted, by circulating intentionally misleading information”. Twitter said some of the ads, or promoted tweets, aimed to deceive voters by telling them they could “text to vote”, which has no basis in fact. “We have not found accounts associated with this activity to have obvious Russian origin, but some of the accounts appear to have been automated,” the statement said. We have shared examples of the content of these removed tweets with congressional investigators. Earlier this month, Facebook said it would turn over data on some 3,000 ads purchased by a Russian entity that appeared to inflame political divisions during the campaign. Some $100,000 was spent on the Facebook ads. Democratic Senator Mark Warner called Twitter’s presentation “deeply disappointing” and “inadequate”. Warner told reporters that the Twitter data was “basically derivative based on accounts that Facebook had identified (and) showed an enormous lack of understanding from the Twitter team of how serious this issue is, the threat it poses to democratic institutions, and again begs many more questions”. US lawmakers as well as a special prosecutor are investigating whether Russia interfered with the election or aided Donald Trump’s successful presidential campaign. A study released this week found the campaign to spread “junk news” during the 2016 presidential election via Twitter appeared to target key states that were the most contested. The research paper by the Oxford University Project on Computational Propaganda suggested a sophisticated effort to spread disinformation using automated accounts, or “bots”. But in swing states, “average levels of misinformation were higher”, even when weighted for the relative size of the state. The study is just the latest to highlight the role of a disinformation campaign, widely believed to have been directed from Russia, to influence the election and help Trump while hurting his Democratic rival Hillary Clinton. The Oxford researchers said the latest analysis suggests “strategically disseminated polarising information” during the campaign. 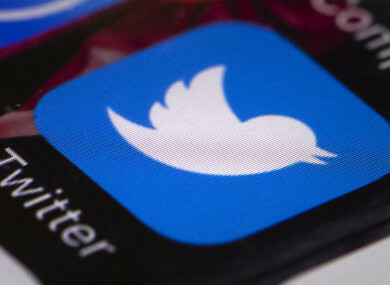 A Twitter statement questioned the accuracy of the study, saying that research conducted by third parties about the impact of bots and misinformation on Twitter ”is almost always inaccurate and methodologically flawed”. One of the reasons for the inaccuracy, Twitter said, is that just 2% of all tweets contain geolocation data. Email “Twitter reveals Russia-backed ads ahead of US election”. Feedback on “Twitter reveals Russia-backed ads ahead of US election”.